Three GMS rugby players recently played for Bucks County and were active participants in helping the team win all their matches: their warm up game against Surrey, and against Gloucestershire and Somerset. This is wonderful news for the students, namely, Will Drewitt (second row), Freddie Lewis (outside half), and Will Wright (flanker), but also for our school who are proud of their commitment and dedication to this game. Even more exciting news is that Freddie Lewis has been selected for the South West England training squad, and now goes to Hartpury College on 27 Jan 2019, with high hopes of being selected for the match day squads beyond that. This is a truly great achievement and the school is very proud that one of its own will compete with others from renowned rugby schools such as Millfield and Wellington College. He is the first in GMS to selected for such high honours. Everyone is delighted and wishes him all the very best in the forthcoming weeks. The Bucks team played their matches at Weston Super Mare, as part of the SW England trials: Gloucestershire in week one; Somerset in week two. 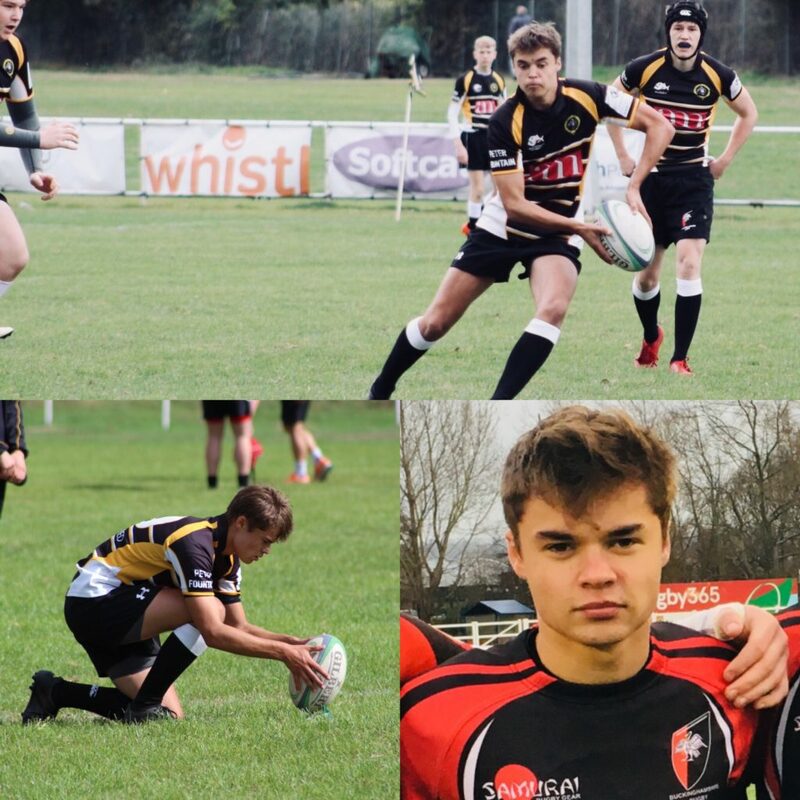 Over time, Marlow has built up a strong record of having lads selected for the Wasps DPP programme, where some are creamed off for progressions into the junior academies at U16 and U18. In addition, Bucks County run representative teams from U15 and Marlow RUFC, which also have a strong record of selecting Marlow students: all routes result in players reaching a higher level. Whilst the academy systems flow to international honours at England U16 and U18, there is also a progression beyond county to play for Divisions, and potentially England counties beyond that. Bucks County is (bizarrely) in the South West Division, along with 7 others Berkshire, Oxfordshire, Gloucestershire, Devon, Cornwall, Somerset and Dorset & Wiltshire. Every December, each county selects an U18 squad to play two fixtures over two weekends against one of the others in the Division. The games are watched by selectors, who also view videos of the games to help them select their South West squad. From this training squad the SW match day squad is selected, which included our GMS lads. They attended a training session at Hartpury College, for a warm match against the Gloucester academy, before playing the other England divisional sides. The students’ commitment and dedication is a credit to them all and GMS wish them all ongoing success. GMS appreciate the reporting of this by Mr Al Lewis.